Music Ensembles in NJ - Choir, Suzuki, Guitar, Violin & More! Participating in an ensemble has benefits for musicians of all ages and levels. Collaborating with your peers inspires growth, cultivates listening skills and provides students with the opportunity to explore new repertoire while establishing fun friendships. Selected LSM Performance ensembles are invited to perform at Carnegie Hall and with Lindeblad Concert Orchestra every year. Ensembles are open to LSM students as well as non-LSM students. Ensemble and group classes run September through June. If interested, email us at contact@lindebladmusic.com or call us at 973-439-7292 for more information. 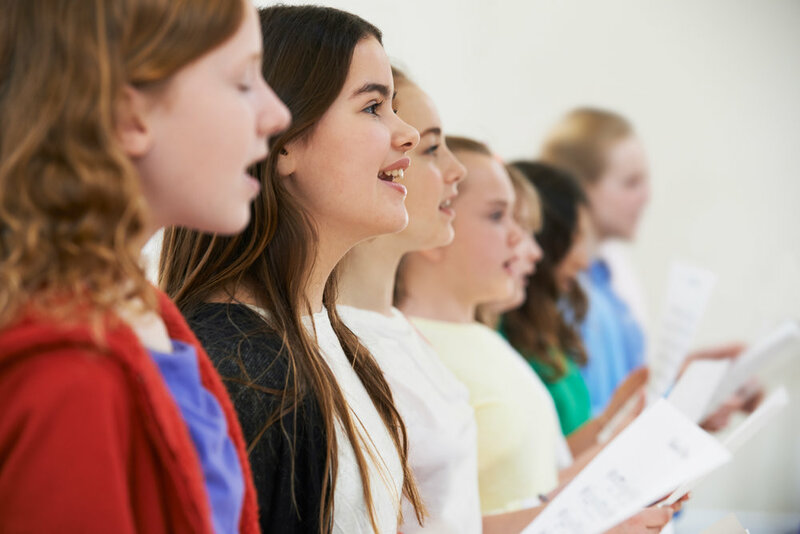 Choir singing teaches ear training, vocal harmonization and phrasing that benefit musicians of all types. LSM choir has performed successfully on a variety of stages, from Montclair State University to Merkin Concert Hall, NYC. All LSM private lesson students and non-LSM students are welcome to attend! Directed by Ms. Jessica. Accompanied by Mr. Rob. The Lindeblad School of Music Guitar Ensembles explore sophisticated and fun repertoire while using the skills they've acquired during private lessons in a nurturing atmosphere. With a strong sense of group cohesion the ensemble has the opportunity to perform a range of repertoire in a variety of venues. Beginner violin students are welcome to join this interactive group class. Students make music friends, train their ear while developing proper technique, expand repertoire, and learn to become well-rounded musician. You can find more information on our Suzuki Violin Group Class here. Talented young musicians have the opportunity to advance their ensemble and musicianship skills, and broaden their musical horizons through chamber music study. Through collaboration and coaching by our pre-college faculty, students will engage in preparation for a variety of performance opportunities offered throughout the year.